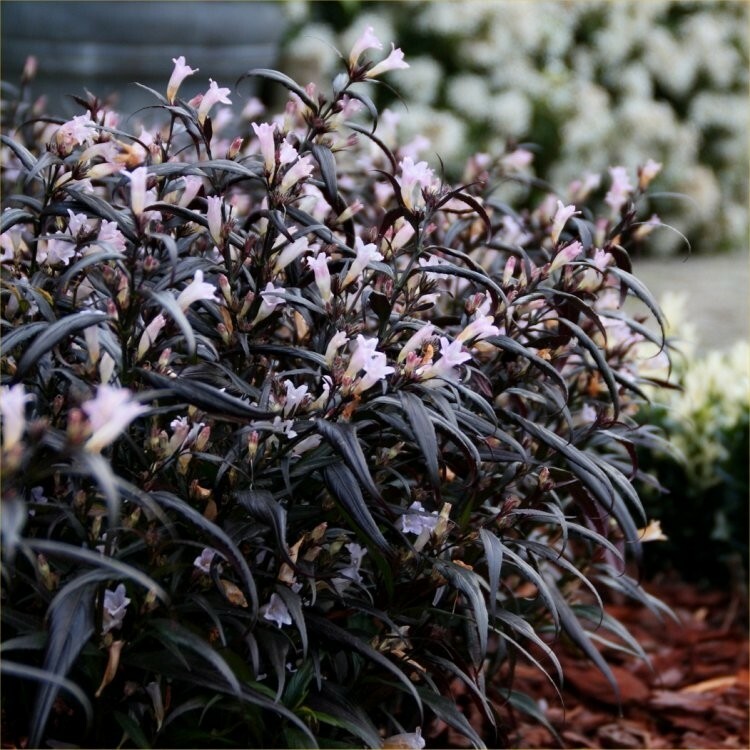 A very attractive dark leaved shrub which is suitable for growing in the open garden or patio planters to provide an attractive contrast to paler plants. Strobilanthes anisophyllus Brunetti is a special variety with almost black foliage, creating the perfect background for it's bright white flowers during summer. It looks lovely planted with brightly coloured flowers, too. Delicate, pointed leaves cover the plant from top to bottom on strong, self-supporting stems. Ideal for a sunny or partially shady spot in the garden including beds, borders and containers. Grows up to 60-80cm. Supplied in approx 9cm pots.